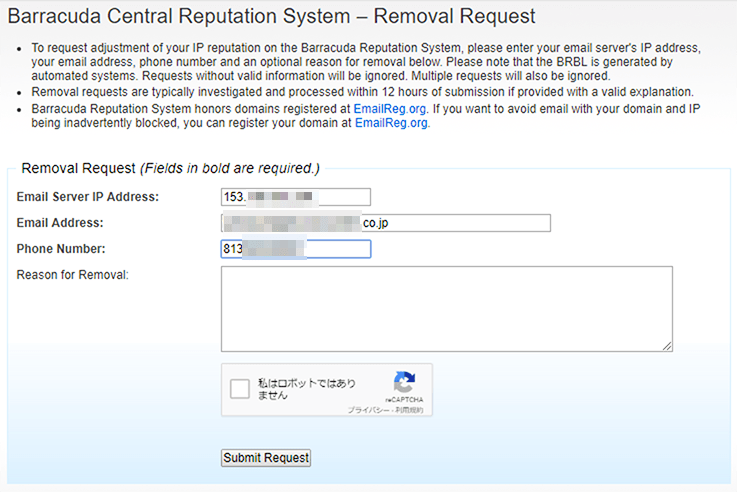 This is the mail system at host aaa.bbb.net. 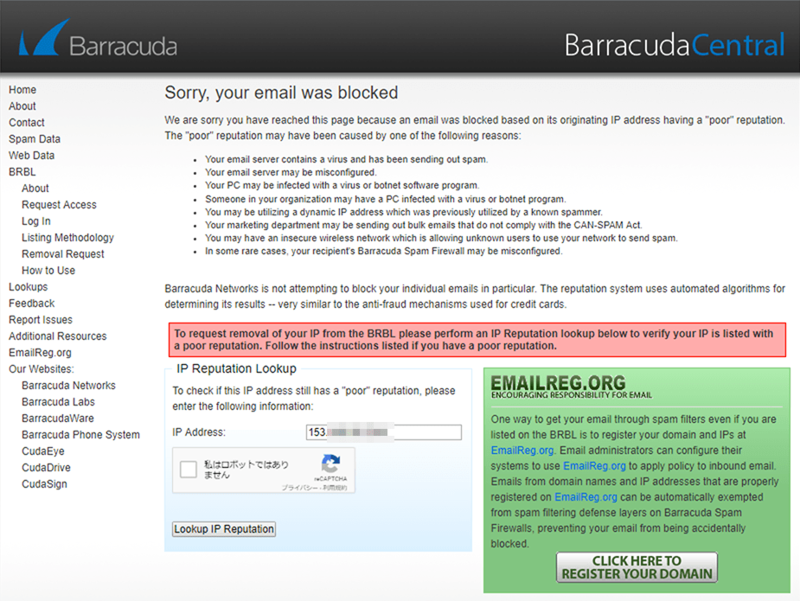 Thank you for contacting Barracuda Networks regarding your issue. Your issue is important to us. 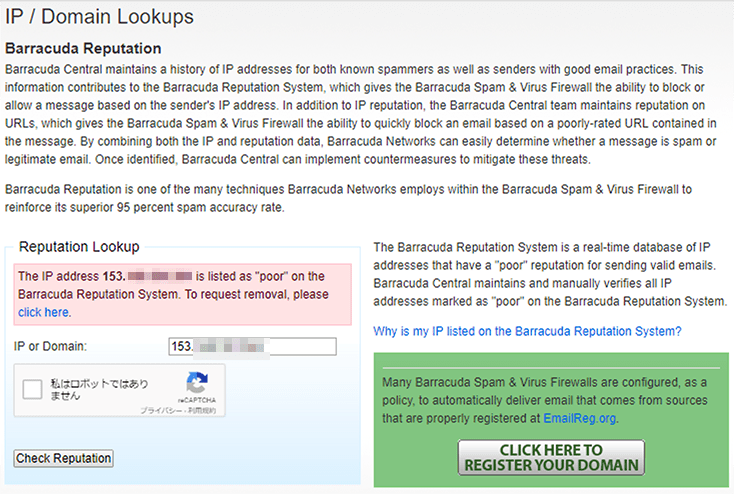 We have assigned a confirmation number: BBR2xxxxxxxxxxx-yyyyy-zzzzz to this case. We apologize for any inconvenience that this may have caused you. We have removed 153.AAA.BBB.CCC (Please wait 24-48 hours) from our blocklist for 30 days, at which time it will be re-evaluated.